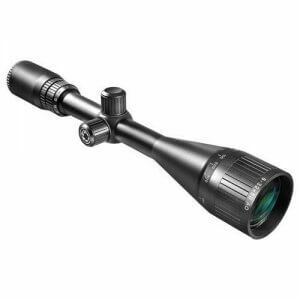 The 8-32x42mm AO Varmint Riflescope from Barska is a perfect choice for many types of shooting including varmint hunting, target shooting, long range and precision shooting. 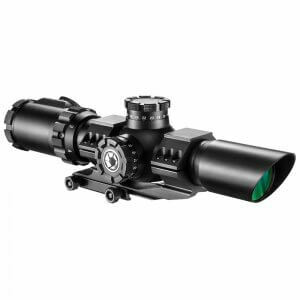 The Varmint features an Adjustable Objective (AO) for parallax correction, a quick access magnification zoom ring as well as exceptionally high windage and elevation turrets. It has a 1" tube construction and comes with a fine crosshair reticle. The click value adjustment of the windage and elevation turrets is 1/8 MOA. Its large objective together with multi-coated optics provides more clarity and greater brightness via increased light transmission. 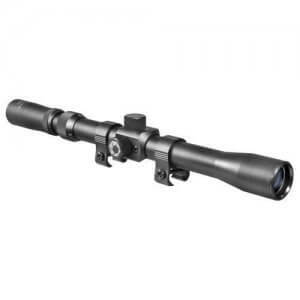 Waterproof, shockproof and fogproof, the Varmint riflescope is protected in many types of environments. And it's backed by Barska's Limited Lifetime Warranty. 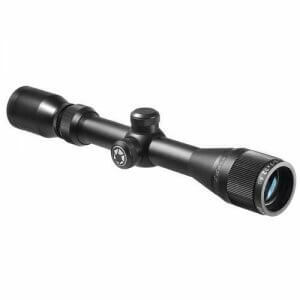 Barska's 8-32x42mm AO Varmint Rifle Scope is the one you want when precision is a critical factor. 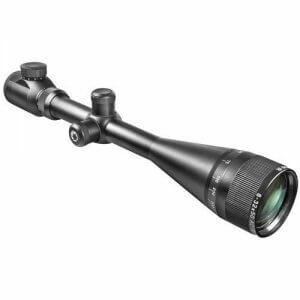 This Barska Varmint Riflescope gives you the advantage with long-range and extremely accurate targeting. 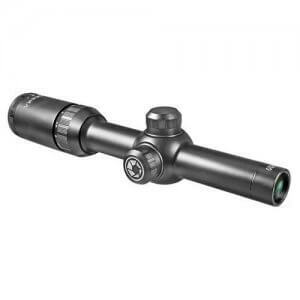 The 42mm objective lens on this Barska Scope increases light transmission coupled with multi-coated optics, which allows this rifle scope to provide extreme clarity. Engineered with an Adjustable Objective (AO) for parallax correction and easy-grip high turrets, this Barska Varmint Hunter Riflescope has twice the precision for varmint hunting or long-range tactical shooting. The Barska 8-32x42mm AO Varmint Riflescope is waterproof, fogproof and shockproof making it a versatile riflescope that is capable of withstanding all types of environments. Extremely clear, even up to higher magnification.. Range adjuster seems to be right on but most of my shooting is in 150 yd. range so not many adjustments needed. After great thought, nothing bad comes to mind at all. Was going to say that for the money this is a fine scope but that would be wrong in so many ways! So I will say that for any amount of money this is an outstanding scope. As in any business it seems to come down PEOPLE! Talking to the nice lady on the order line I mentioned that the scope I wanted was not available. She asked me to hang on for a few minutes while she checked on some things. In a few seconds she was back with me and directed me to a few alternatives, one of which was the as10830. She answered all questions and then some. Mostly because of her I now have the majority of my rifles set up with Barska Scopes. Varminter, Huntmaster and 3x9 Plinkers. 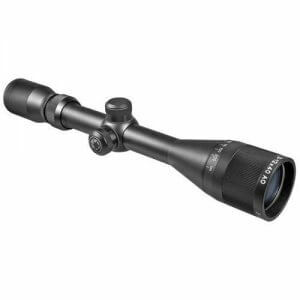 Just bought a new 22-250 and will have a new 8-32x 42 ordered by Monday. Great Products& Great People. I purchase a used Remington Model 518 that had this scope on my rifle, it looks nice on the gun. Low and high magnifications appear to produce a sharp image, adjusting the zero you quick and easy. I had at least 5 different types of ammo that all produced the same result. Would also be a really cool product for a BB air rifle or AirSoft "sniper" rifle.